Where do we still find real vanilla? These black grains that perfume everything and that send us back to the sweetness of childhood. Are they all very honest? Price of vanilla beans increased highly these recent years. We now face extremely competitive vanilla market and prices fluctuation greatly depending on supply and demand. From the years 2000 to 2003, the prices panicked and reached the 400 euros per kilogram. Too expensive since then, the synthetic vanilla gained premium position with consumers. With the reinforcements of marketing reinforcement (ambiguity between vanilla aroma and vanilla taste): prices fell to the point where farmers could no longer be paid, crops quality degraded in favor of more profitable ones. Regain of interest for authentic and natural products since 2011, vanilla cultivation becomes so fierce that farmers over-fertilize vanilla flowers. Thus, offering vanilla in quantity but not in quality. They also skip the fundamental steps to produce a quality vanilla (fertilization of all the flowers, instead of one out of two. Vanilla has lost refined quality and dried but too quickly put under vacuum, etc.) Vanilla bean wholesaler Madagascar. Result: small pods with undeveloped aromas, finally containing very low vanillin rate. Prices are back on the rise, and the sluggish 2013 harvest suggests that this year prices will not soften. How are manufacturers to produce their products with vanilla, number 1 of purchases? They use vanilla used ! Once producers extracted the black grains, they do not throw the pod. They grinds the latter which still bears a little aroma of vanillin. And it is used in ice cream and yogurt because it appears as black grains in the preparation. 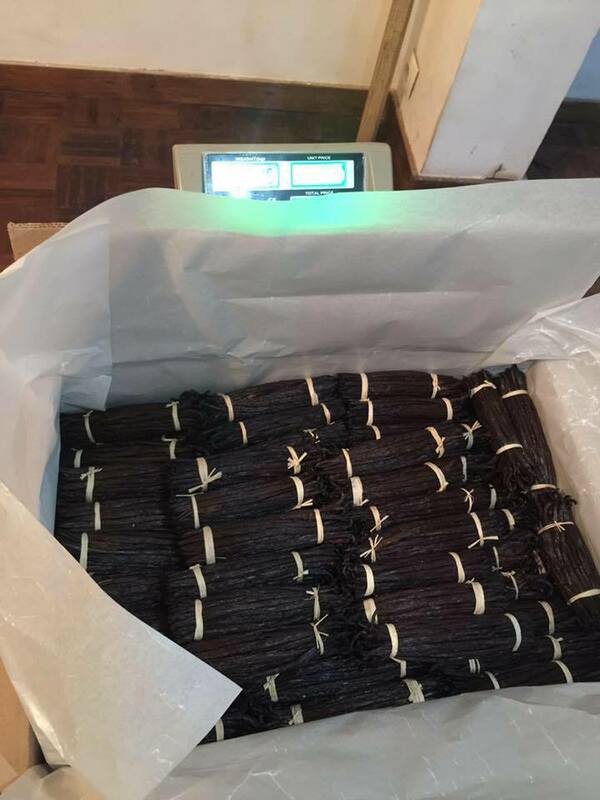 Import vanilla from Vanilla bean wholesaler Madagascar. The consumer is fooled because he thinks it is the heart of a vanilla bean while it is the pod itself! Precaution therefore in ingredient labels: vanilla exhausted is pod powder that has already been used. A well-known brand uses this subterfuge to give the impression to the consumer that the product is made from natural vanilla. Not a single molecule of vegetable vanilla under these names: a simple call to purchase (often reinforced by the pretty picture of a yellow flower). Only the chemical feat of synthetically recreating the molecule vanillin. You will have a standardized perfume. Which reminds of childhood finally, if you have been used to consuming this type of products. For you, vanilla has only one taste, and no relief. Vanilla bean wholesaler Madagascar. Know that there are very different flavors of vanilla according to its origin: that of Mexico has a taste more similar to caramel, that of Tahiti is more flowery almost aniseed, the vanilla of the Congo has chocolate flavors, that of India will be a little spicy, that of Uganda will have animal notes and the vanilla of Madagascar is fruity chocolatey, it is that of our childhood. To discover these vanilla, go to Laurence Cailler. Always nothing. Not the slightest molecule of vegetable vanilla under this name. Pure marketing creation. Ones obtain this natural aroma of vanilla without vanilla! Manufacturers use rice sugar, beet sugar among others, because our palate combines vanilla with sugar. As long as the appearance of your product looks light yellow with some black dots and you bite in! Vanilla bean wholesaler Madagascar. You have to choose the mention NATURAL EXTRACT OF VANILLA. Ones extract its aroma by pressing the pods. A viscous resin rich in vanillin thus obtained will bring a real taste of vanilla – the seeds or caviar. 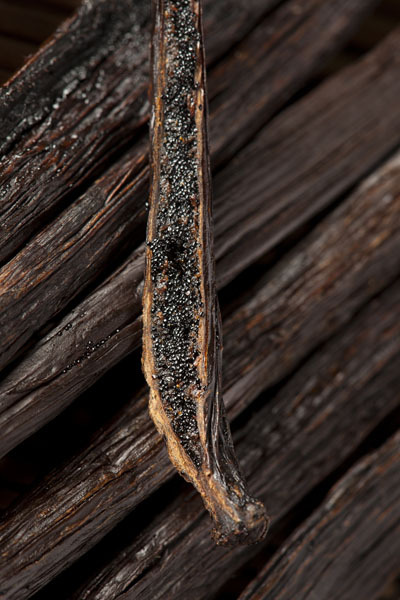 We name “exhausted Madagascar Bourbon vanilla beans”the vanilla bean exhausted from its seeds ! All the vanillin that the pod contains has been taken and used. Finally only the residue almost devoid of aromas remains (or a distant aromatic memory of its container). Then; farmers dry it and ground. It then results in a powder or pod dust poor quality. Vanilla bean wholesaler Madagascar. Ones use this exhausted vanilla powder to give certain food products (ice cream and yogurt) the appearance of real vanilla. If you cook yourself, you can see the black grains of the pod in your custard when you let it infuse. For a real vanilla pod of quality, the flesh must be fat and thick. In addition, with even some white filaments that guarantees a natural saturation of the product in vanillin. Then, once the pod used, recover it and do not hesitate to dry it. You can use it to close pancakes in chaplain for example.